“Retail salespersons and cashiers were the occupations with the largest employment in May 2013”: BLS. 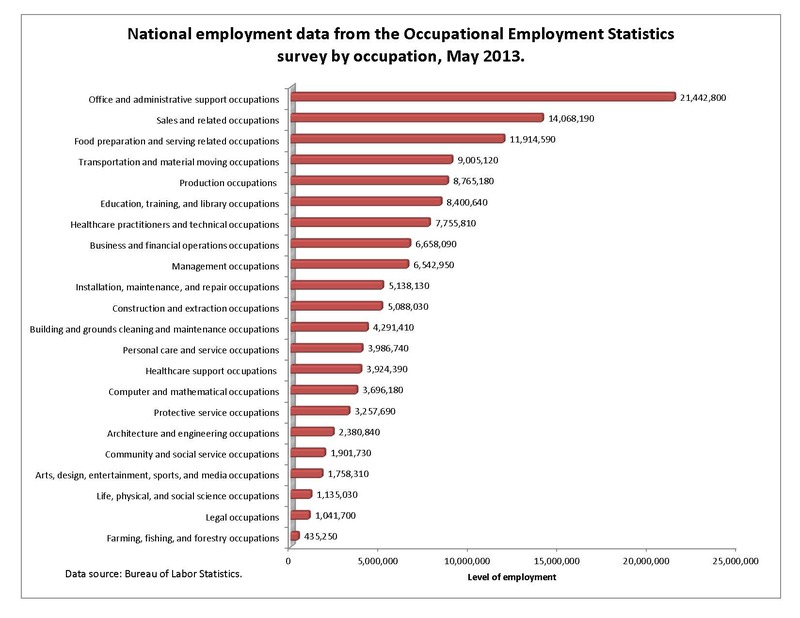 The top ten of U.S. Occupational Employment Statistics for May, was released today by the Bureau of Labor Statistics. Office and Administrative support related occupations counted almost 22M people in the field. Sales men and women are second with 14M. The content you are trying to access is only available to members. Sorry.